Public schools on P.E.I. are delaying opening with a special weather statement in effect for P.E.I. Both the Public Schools Branch and the French Language School Board are delaying opening with an update at 8 a.m.
See a full list of cancellations on Storm Centre. Call in your cancellations to 1-877-236-9350. 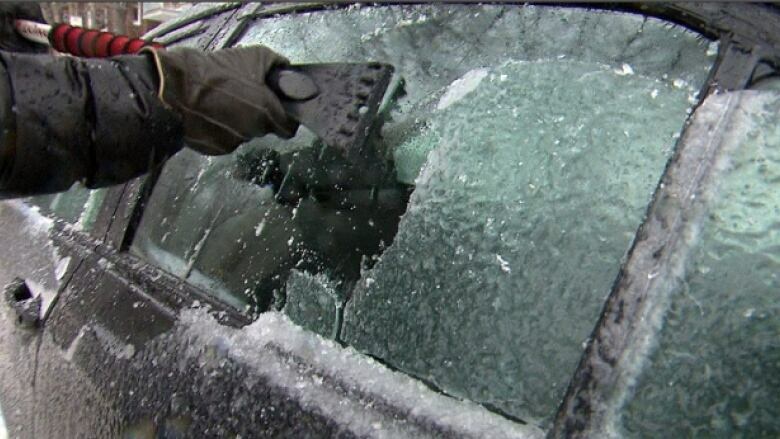 Environment Canada says there is a risk of freezing rain Thursday morning. Overnight snow left a thin layer on the ground, and the special weather statement calls for some heavy rain. CBC meteorologist Tina Simpkin said the risk of freezing rain is lessening. "That rain-snow line is just pushing to the north of the Island, but there's still some spots where we could see a little bit of freezing rain, ice pellets. It's going to be brief, because the temperature is climbing, for the most part, above the freezing point," said Simpkin. There is still a risk that rain could freeze on the cold ground, even if it is not technically freezing rain. Plow dispatchers are reporting snow-covered road across the Island, with icy patches in the east and west. The snow is heavy with the rain on it and taking longer to clean up. The rain will continue through the morning, with a further five to 10 millimetres expected. The temperature will climb to 7 C. More bands of rain will come overnight, with another 10 to 15 millimeters.